Your roof is one of the most important parts of your home. It protects your home from the elements, and it protects the rest of your homes structure. 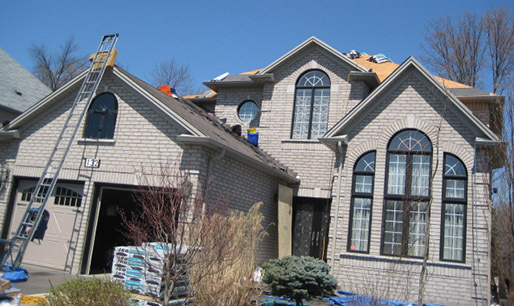 Overtime, a roof replacement is necessary to ensure your home is properly protected. Failure to do so could result in expensive repairs, insurance claims, and unwanted headaches. When is it Time to Replace Your Home’s Roof? Every roof is different. When your roof will need to be replaced will depend on a number of important factors such as age, materials used on your roof, how it was built, sun exposure, and more. However, there are a number of signs that it’s time to replace your roof, including peeling shingles, heat loss in your home, water damage, and leaks. Why Trust C Plus Roofing with Your Roof Replacement Project? Our customers trust us with their roof replacement project because we take pride in doing things the right way – the way you want things done. 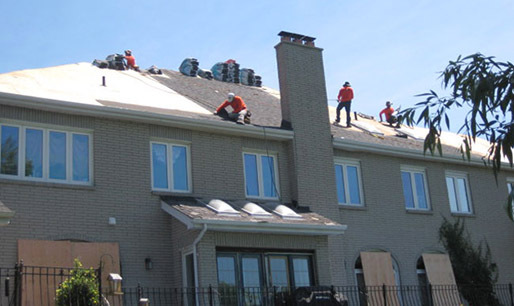 For more than a decade we have replaced hundreds of roofs of all types for our customers. We know each project has its own unique set of circumstances and our customers have their own set of concerns and we do what it takes to address these before, during, and after the project is complete. Expect exceptional workmanship using top quality materials when you hire us. What Shingles Do We Install? 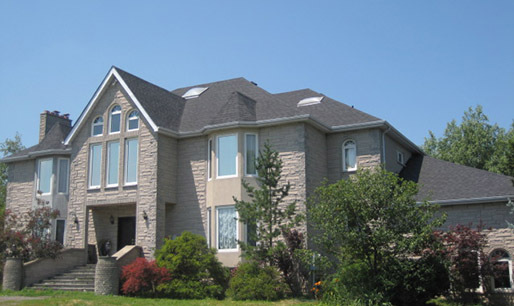 We install BP Mystique 42 shingles. They are made from a high quality material, are durable and they include a Limited Lifetime Manufacturer’s Warranty. Please contact us if you have additional questions about shingles. What Else Do You Replace in the Roof Replacement Process? 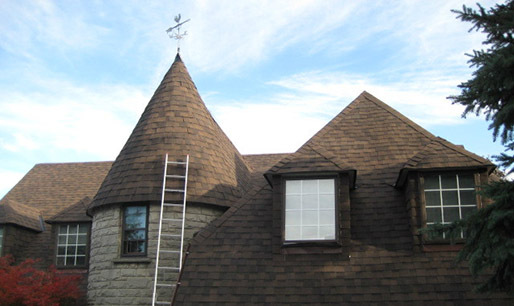 Replacing your roof involves much more than simply removing old shingles and installing new ones. We also inspect your roof for other damaged areas and repair them as required. 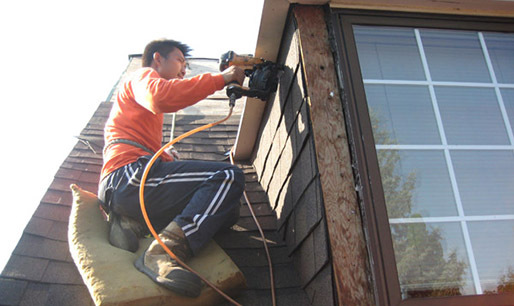 As part of the process we replace plywood boards (if damaged), felt paper around perimeter of roof, aluminum flashings on valleys, all rubber flanges, all air vents, and we also re-caulk all flashing and clean all eaves troughs to ensure your roof has proper water run-off. The length of time it will take to complete a roof replacement varies. Typically we can start and finish all projects within 1 day. However, some projects require 2-3 days depending on size and complexity of your roof and roofing issues. We know that roofing issues can’t wait and this is why we do our best to complete projects as quickly as possible. 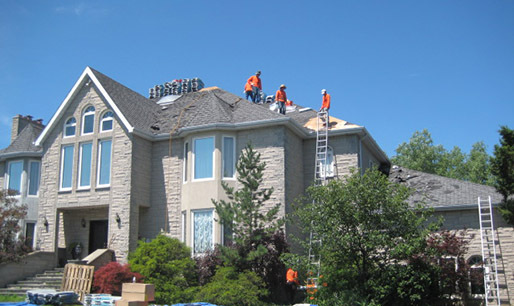 Every roof replacement project with C Plus Roofing starts with a free project estimate. Contact us today to book a time for us to check out your roof, explain or roofing process, and provide you with a hassle free quote for your roof replacement project. We look forward to working with you!